MAY 1, ST. JOSEPH THE WORKER. DAILY ORDINARY ACTIVITIES ARE A PATH TO HOLINESS! 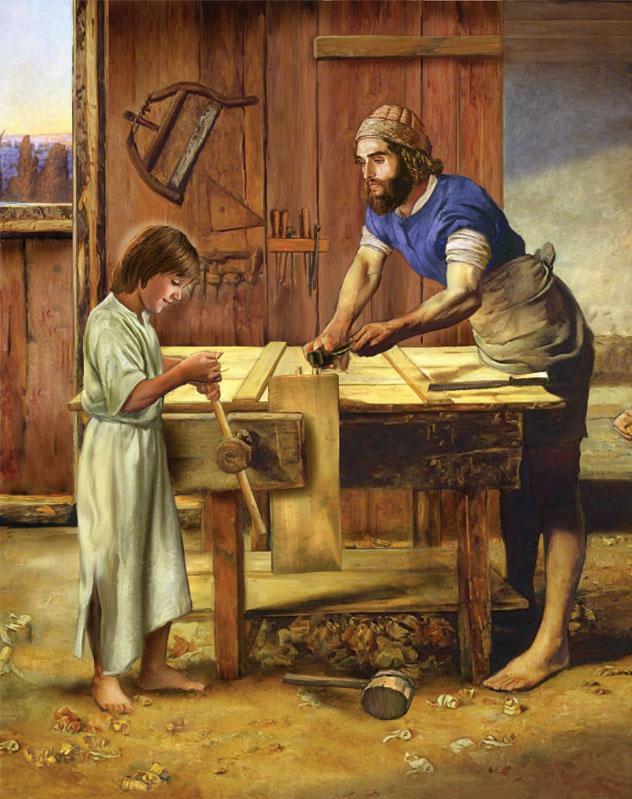 As we prepare to celebrate May 1’s feast, St. Joseph the Worker (preceded by the 6th Sunday of Easter), during which the entire world celebrates the human activity of work, let us remind ourselves that WORK HAS A DIVINE, SANCTIFYING VALUE AS WELL, FOR WORK AND OTHER ORDINARY TASKS OF OUR DAILY LIFE ARE A PATH TOWARDS HOLINESS, TOWARDS SANCTITY. “We are all called to become saints…BE A SAINT BY CARRYING OUT YOUR WORK WITH HONESTY AND COMPETENCE AND BY OFFERING TIME IN THE SERVICE OF YOUR BROTHERS AND SISTERS. “But, father, I work in a factory; I work as an accountant, only with numbers; you can’t be a saint there…”. “Yes, yes you can! There, where you work, you can become a saint. God gives you the grace to become holy. God communicates himself to you”. ALWAYS, IN EVERY PLACE, ONE CAN BECOME A SAINT, THAT IS, ONE CAN OPEN ONESELF UP TO THIS GRACE, WHICH WORKS INSIDE US AND LEADS US TO HOLINESS. Let us ask the intercession of St. Joseph so that like him, we may seek, find and love God in our work and ordinary duties of each day by working well to the best of our capabilities, living the virtues and offering it to Our Lord. St. Joseph, pray for us, for all the workers in the world and for those who are seeking for a job. HAPPY MOTHER’S DAY TO ALL MOMS IN THE WORLD!